This holiday home is semi-detatched to the home of the owners who rent it to tourists. It is located in middle of the village Červený Kláštor along side the banks of the river Dunajec. This holiday home has a clear view of the Three Crowns. It has six rooms. Each room has single 2 bed, but an extra bed per room can be provided. There is a nice comfortable communial room with lovely fireplace. 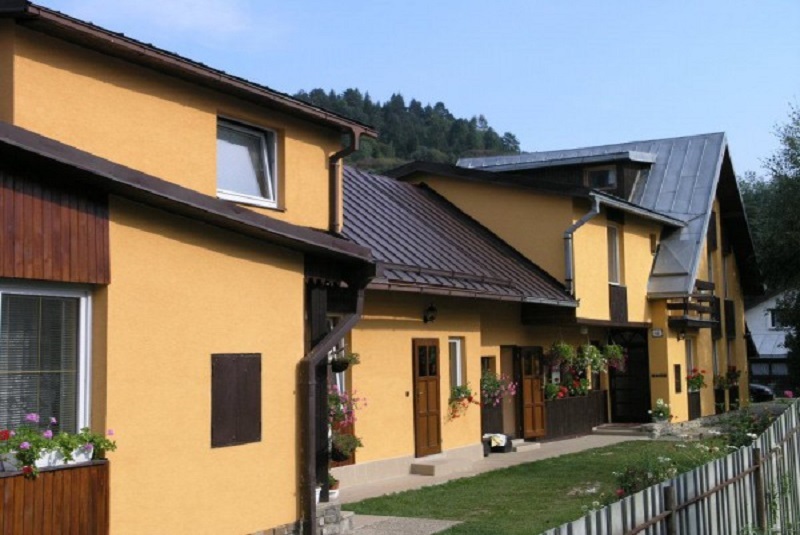 The pension Holica is located in the small boarder village of Lesnica. The village of Lesnica is in valley known as Lesnický potok (Lesnica brook). This is at the foot of the hills called Malé Pieniny (Small Pieniny). This is also the place where the Slovakian rafts terminated as the Slovakian part of the river Dunajec ends here. The border between Slovakia and Poland is also located on one side of Lesnica. 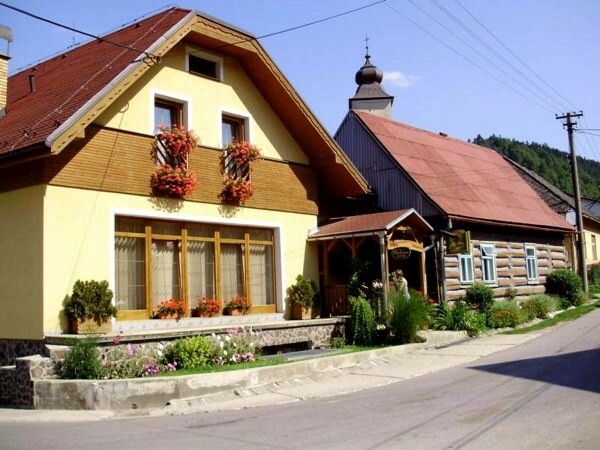 This separated the village of Lesnica and Szciawnica, which is in Poland. This is an ideal opportunity for tourists to visit Pland. This border point can only be accessed on foot or by bike.